New findings from a recent study, evaluating the association of circulating testosterone concentrations in men with low-risk prostate cancer, showed that men with a testosterone level less than 300 ng/dl should not use active surveillance as a treatment option. This study recruited 338 men with prostate cancer who met the active surveillance criteria but opted instead to undergo radical prostatectomy. Men who had hypogonadism, which is defined as a serum testosterone level below 300 ng/dl, had a significant association of a higher likelihood of upgrading, upstaging, and unfavorable disease with positive surgical margins. Research results showed that men with a testosterone level of 300 ng/dl or lower was associated with a significant 11.6 –fold increase of upstaging, 3.6-fold increased odds of upgrading, 10-fold increased odds of unfavorable disease, 2.2-fold increased odds of positive surgical margins and 6.7-fold increased odds of predominant Gleason 4 disease when compared to men with a testosterone level of 300 ng/dl or higher. 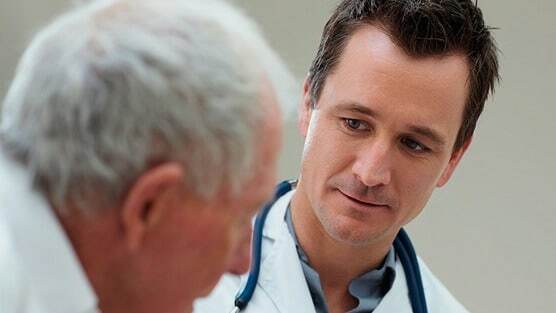 Patients newly diagnosed with prostate cancer can contact world renowned prostate cancer specialist and urologic oncologist Dr. David Samadi at 212-365-5000 for a free phone consultation or by visiting ProstateCancer911.com.